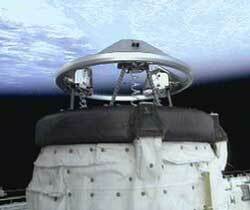 Explanation: A space shuttle is again visiting the International Space Station (ISS). The STS-92 crew aboard Discovery have already delivered and installed a truss and a docking port on the growing orbiting space station. The station is being prepared for its first permanent crew, currently scheduled to be launched from Kazakstan on October 30. 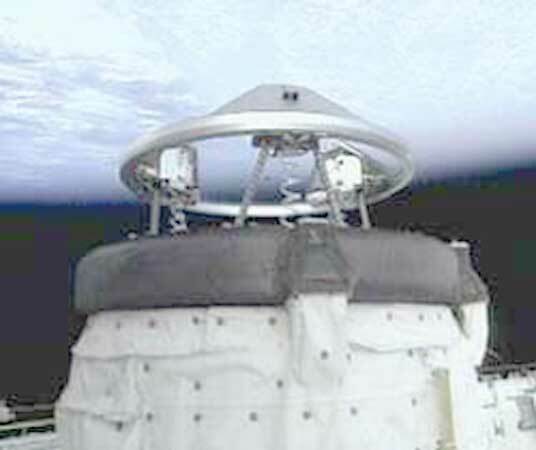 Pictured above, the shuttle's docking ring is being extended to enable a stable connection to the space station.